I remember my mother sitting at my bed praying through the rosary with me. After becoming an evangelical Christian in my teens , I didn’t pray that specific prayer as often. It really shouldn’t have surprised me to think that my own children didn’t know it by heart like I had at their age. But for some reason it bothered me. The prayer is an important one – a pattern for prayer that covers many bases of Christian living. It’s interesting that the Lord’s Prayer came about after Jesus’ disciples were watching him one day having his own quiet prayer time. 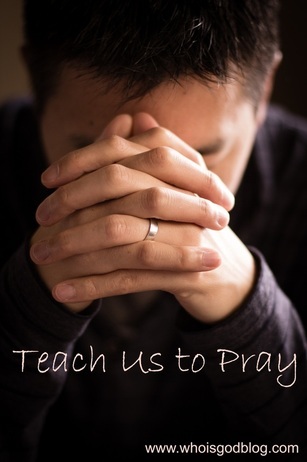 In Luke 11:1 it says that when Jesus was finished, they asked him: “Lord, teach us to pray. …” Quickly, Christ gave them what they needed. Travis writes in his book “Insignificant” about the trials he faced as a teacher there as he attempted to be a voice of authority in a place where chaos often ruled. So badly he wanted to quit, but he found that God had some things to teach him about himself and about prayer. Travis made it through two years teaching at that Harlem middle school and, although it was the toughest season of his life, he now says that there were moments he experienced that he wouldn’t trade anything for. As I read his book, I was surprised when Travis began to talk about the Lord’s Prayer. And he did way more than just talk abut it. He took it apart and illumined my eyes to its significance. “There is too much in this prayer for us to unpack it all,” says Travis. “Every word matters. The words Father and hallowed say so much about who we’re talking to – our God is a loving Father and the Holy One. Praying for “daily” bread says something important about making these conversations a daily experience. And notice the importance Jesus places on forgiveness and on dependence upon God rather than self, to avoid temptation. We could fill an entire book with insights from this prayer, and there are many good books that do just that. I think for me, as I repeated the Lords Prayer as a little girl, I missed out on the beauty of it. My daughter and I have some work to do, but I think as I teach her the prayer and share the significance of each section of her puzzle, she’ll grow in her own faith. Do you know someone who needs to learn it too?